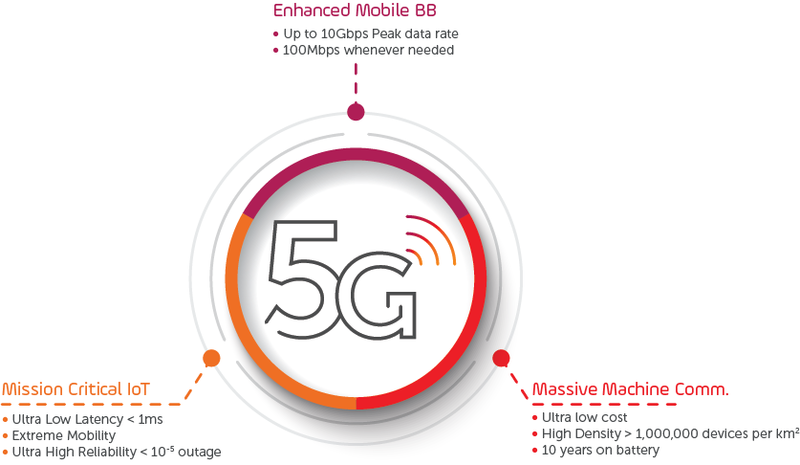 5G takes mobile network evolution to a new level with service-based networking that supports massive IoT growth, fixed-mobile-convergence and critical M2M communication. End-to-end network slicing, enabled by NFV, supports different services by dynamically allocating virtual resources and functions to meet service-specific performance objectives. The Allot Service Gateway Virtual Edition (SG-VE) and NFV manager comply with leading NFV orchestration systems and are 5G ready. The SG-VE augments standard 5G technical performance indicators through a customer-centric approach that considers Key Quality Indicators (KQIs) to ensure end-user quality of experience (QoE). For example, it looks at resolution and stalls when assessing perceived video QoE to achieve highest customer satisfaction in addition to optimal resource utilization. A second benefit of the SG-VE is more granular (e.g. application specific) visibility and control. Within a Mobile broadband (mBB) slice, you may want to differentiate by criteria such as applications, content providers, users, and locations. For example, in a slice that provides both streaming video and cloud backup, stalls will significantly impact the video QoE, but not the cloud backup. With the SG-VE you can optimize accordingly. With 5G’s increased access rates and massification of IoT, attacks from the radio access network can be devastating. Allot’s carrier-class DDoS detection and mitigation solution holistically addresses the three phases of a DDoS attack; the compromise or infection of endpoints, the weaponization of the endpoint, and the DDoS attack itself. Critical network resources and user QoE are assured, even during an attack. Fifth-generation networks are designed to support and drive fixed-mobile convergence, the Internet of Things and ultra-reliable machine-to-machine communications. With Allot’s SG-VE and management systems, operators will be able to efficiently deliver service assurance and differentiation and protect the 5G networks from crippling DDoS attacks. 5G - an opportunity for CSPs to be a one-stop shop for unified security solutions.